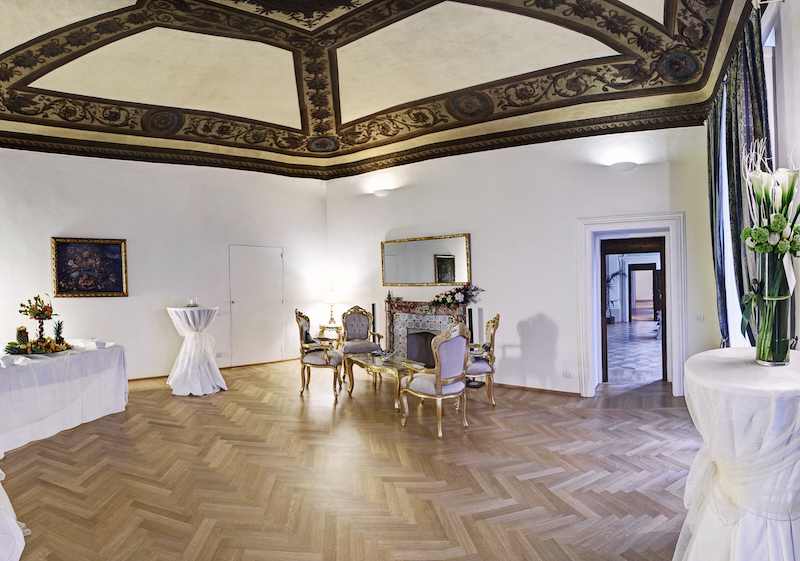 The first news of the Palazzo dates back to 1500, when the noble owners assigned the entire main floor to the realization of parties and receptions. Over the centuries the structure was enlarged and in 1612 the owners commissioned the ornamentation of the facades to Tommaso Mazzuoli da Crotona and Giovanni Cioli da Ripale. The property commissioned the architect Paolo Posi to redesign the facade and follow the internal artistic enrichments. 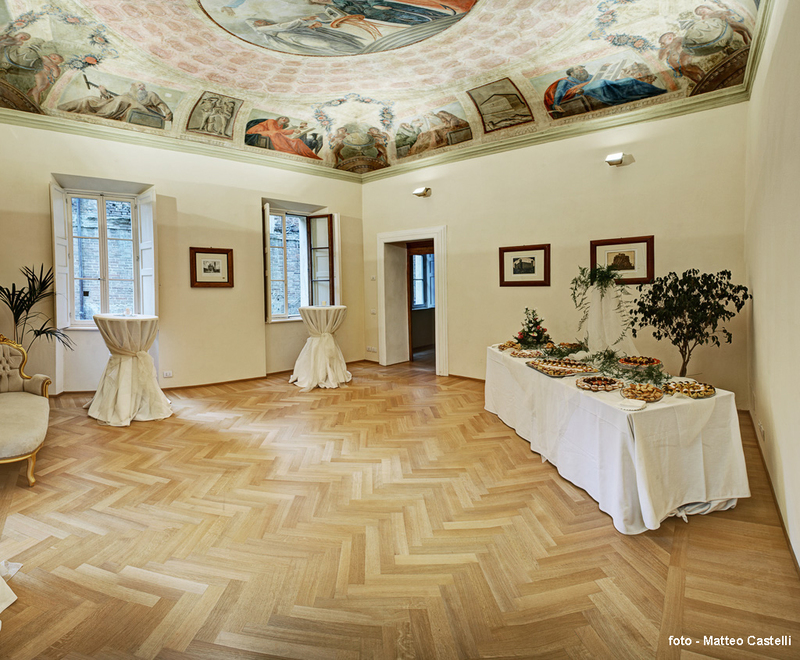 The recent and careful renovation has enhanced the individual features,making it part of the buildings of artistic and historical interest. 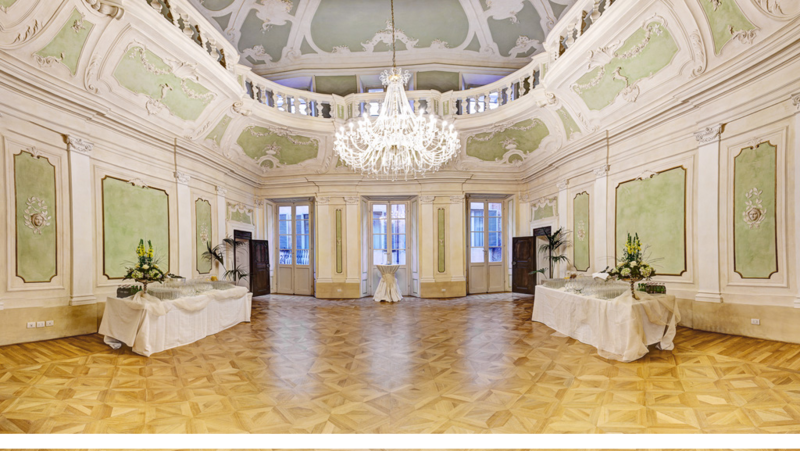 The description The Palazzo has 7 meeting rooms by 20 to 90 people for meetings, lunch, coffe break and gala dinner. The Palazzo has its catering service inside.